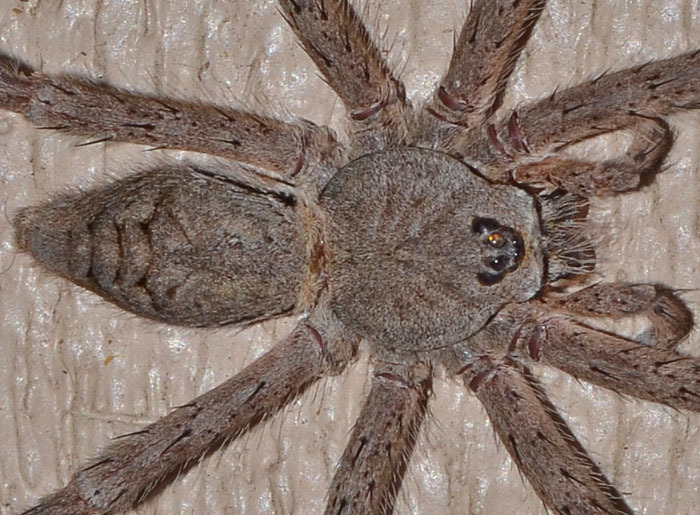 Dolomedes albineus (Whitebanded Fishing Spider). Size: approx. 90 mm. Photo: 09/04/14, 11 pm. An impressive, large spider that to the delight of our friends and visitors, decided to make its home above our main house door. 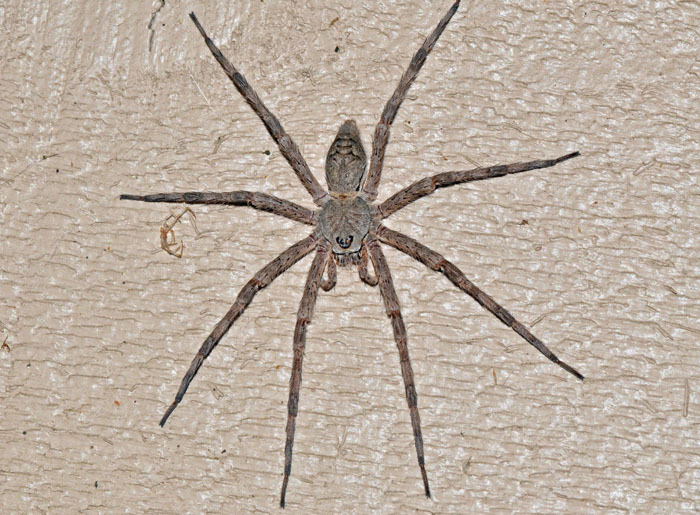 Spiders in the genus Dolomedes are called Fishing Spiders because (with the exception of D. tenebrosus) they live near water and catch aquatic insects and even smaller fish as they walk on the water surface. And yes, they can walk on water!